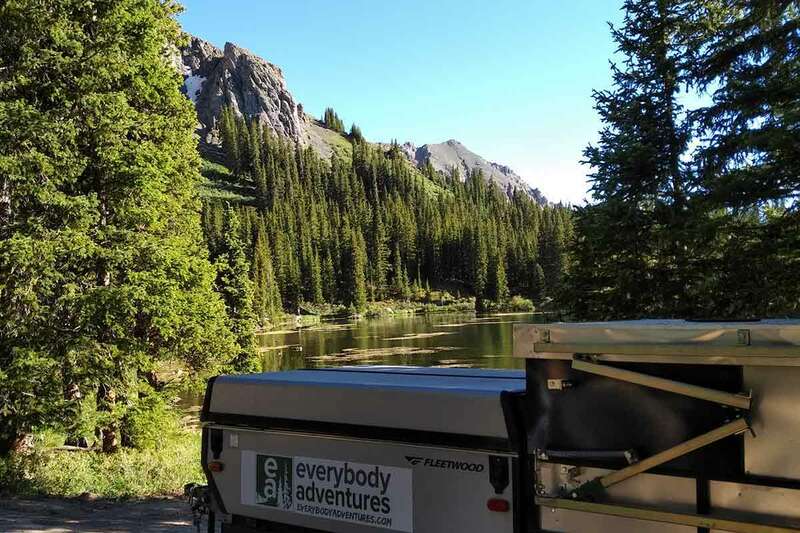 If you are looking for a dispersed camping (meaning free and away from crowds) near Telluride Colorado, the Alta Lakes area is ideal. Alta Lakes Road is located about 4 miles south of Telluride on Rt. 145 (1/2 mile past the the Sunshine Campground). The road is dirt, and one lane in two places, but largely maintained. A high clearance vehicle is helpful to get to some of the best campsites and 20ft is the maximum length for a trailer. There are roads and established campsites around the first lake which is depicted in the attached image. The lakes are filled with rainbow trout. There are great mountain biking trails and challenging hikes in the surrounding mountains.